I am back in the Bay Area after a wonderful six days in Hawaii. Our vacation was everything I could have hoped for — laying out by the pool, playing water sports in the ocean, gobbling up delicious fresh food, and sipping tropical drinks under the shining sun. I took these photos right before we went to dinner at Roy’s. The sun just set so the background is a little darker than usual. 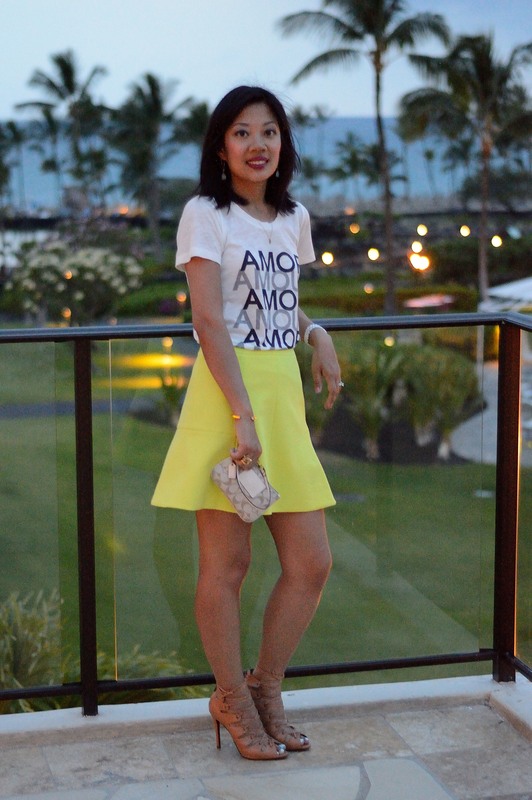 I love the spark of color in this neon yellow skirt. 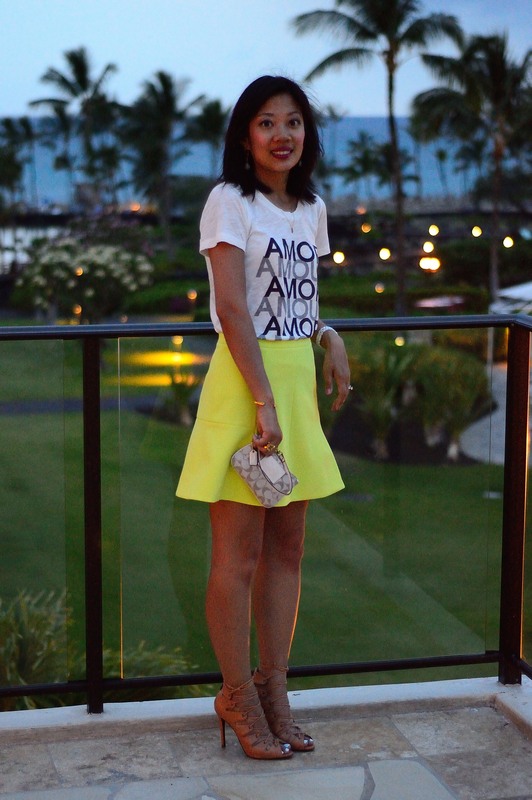 It accents the black and white tee so well and shines so bright against the night sky.